As Bradford City and Barnsley walked out onto the Valley Parade pitch to kick off last Saturday’s Yorkshire derby, the feeling of excitement we supporters felt was a timely reminder of just how special it is to be a Bradford City fan. 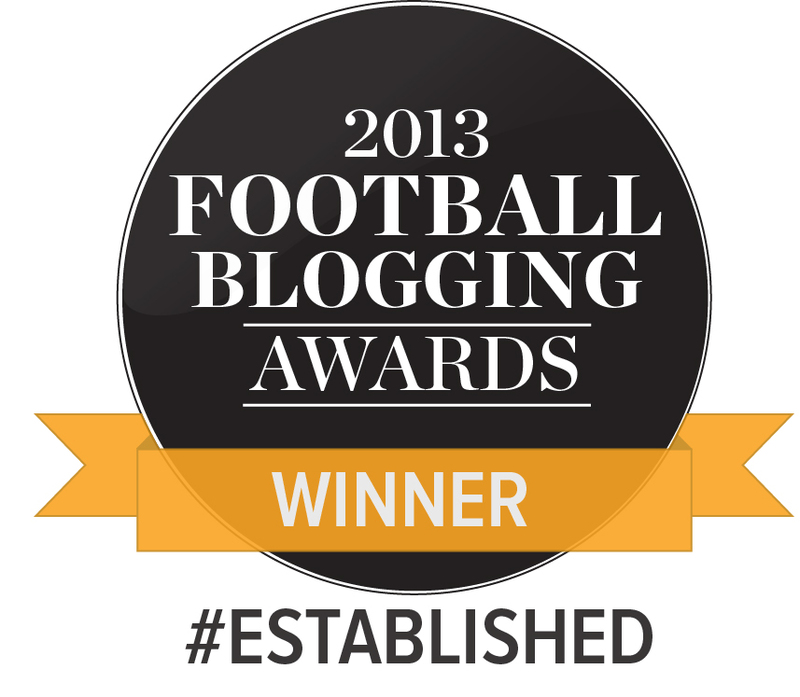 We truly are a remarkable football club. And though fewer in number than the top sides in the country, our passion and dedication is just as fierce. Bradford City means so much, to so many people. And in the modern times where the city of Bradford struggles under the cloud of economic and reputational difficulties, the club’s significance and value to the area is arguably more important than ever. 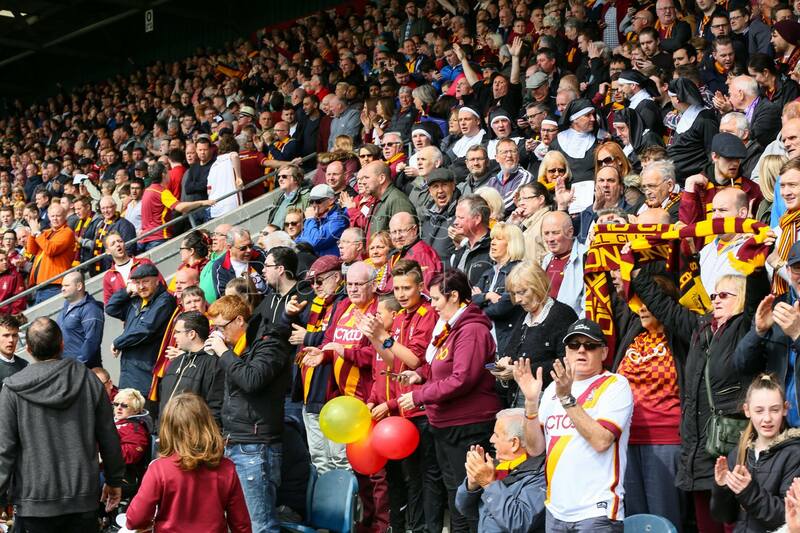 Of the 18,986 people present at Valley Parade on Saturday, 16,434 were Bradford City supporters. No other event, organisation or institution within Bradford regularly brings so many local people together. And the singular cause we cheer for provides a unifying purpose lacking elsewhere in the city. In the 115 years since Bradford City first kicked a football, Bradford the place has undergone enormous change. Going to watch the Bantams at Valley Parade remains a reassuring constant. And it is understanding just why Bradford City matters to thousands, and the extent it dominates our lives, that is the subject of my new book: Who we are: Exploring the DNA of Bradford City AFC. I want to tell the story of makes the club unique, and how the fortunes of the football club have reflected or inspired the fortunes of the city. From the club’s early beginnings, which occurred when Bradford was one of the world’s most economically significant cities, to the boom and bust nature of the modern day. Why World War One had such a deep impact on the future of Bradford and Bradford City. How the rise of Leeds United damaged Bradford sport. What the cross-sport rivalry with Bradford Bulls has done to both clubs’ finances. And why the tragedy of 11 May 1985 redefined the Bradford City community and has given us a deeper sense of perspective. Along the way I’ve interviewed around 50 people with weighty connections to Bradford City. They include well-known personalities like Paul Jewell, Stuart McCall, Gary Jones, Stefan Rupp, Greg Abbott, James Mason, Matt Kilgallon, Romain Vincelot, Gordon Watson, Danny Forrest, Terry Dolan, Ian Ormondroyd, John Helm, Simon Parker and Jason Thornton. The book also features an exclusive interview with Julian Rhodes – the first he has given since selling Bradford City. Alongside supporters such as John Dewhirst, BantamsVlogs, Paul Firth and Michael Wood, these interviews help to tell the story of the club’s identity, and the importance it has on all our lives. In this modern-day world where football is completely dominated by the Premier League WHO WE ARE lifts the lid on what’s different in this corner of the world, and why we care as much as we do. The book is a celebration of what Bradford City stands for. It will go on sale through retail outlets from October. A subscriber edition is available on a first come basis which is published in an exclusive hard back format that will not be available to purchase elsewhere – the ultimate gift for the discerning City fan! This costs £20 and will be posted out ahead of copies being available in the shops. The subscriber’s name can also be recorded in the book. An order form can be found by clicking here: BCAFC DNA Order Form Aug-18. (2) email bantamspastHR at gmail dot com with the order form attached and electronic remittance details will be confirmed by return. In case of queries call the Bantamspast hotline on 07834 757 677.
WHO WE ARE is the fifth volume in the Bantamspast History Revisited series. Between them, the different books provide a definitive record of the origins of sport and professional football in Bradford, its development and historical context through to the modern day. By revisiting the evidence the series debunks the myths and superficial narratives that have been told previously. The five titles each address distinct themes and are all original in their coverage. They provide a unique collection that is indispensable reading for City supporters wanting to better understand the heritage of their club. Jason’s previous book, REINVENTING BCAFC (2016) was the second volume in the History Revisited series. Having read the draft manuscript I believe that this will be one of the best books ever written about BCAFC. It is a unique and original project to define the personality and character of a football club and I am pretty sure that nothing similar has been attempted in relation to any other English side. Jason has looked into the history of Bradford City and demonstrated how it remains relevant to today and the extent to which the club is prisoner to its history. It is certainly thought provoking! It’s going to be a long old season for the Faithful, so I would like to say take your phone with you to each game and when you become uncomfortable or feel red faced, don’t blame poor Michael Collins, just watch the good old day’s to feel Good. Until they Return….